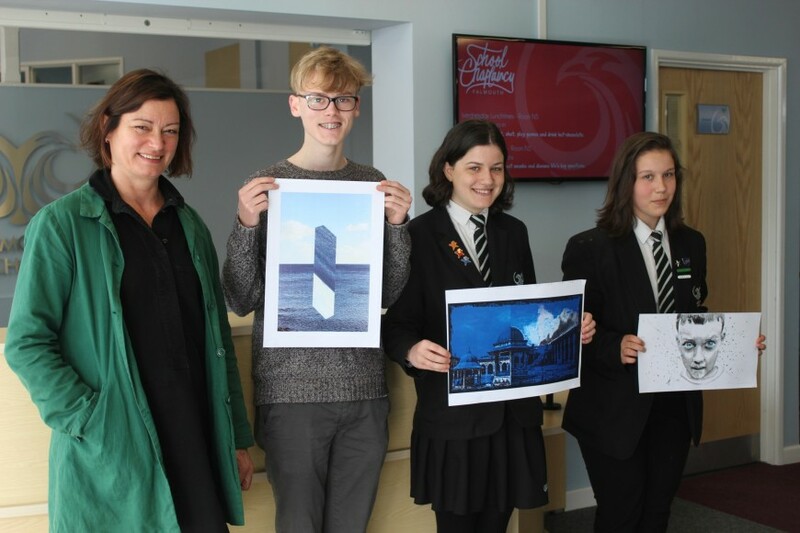 Falmouth School’s Art and Photography students have enjoyed superb success after entering this year’s Young People’ Art Prize competition set by the Newlyn Gallery. The theme of ‘blue’, produced a fantastic creative array of artistic pieces from students which were submitted to the gallery by the Falmouth School Art Department. Following a rigorous selection process from the vast number of entries from other schools and the community, Newlyn Gallery shortlisted students for the best responses and have exhibited the work in the gallery. From a comprehensive shortlist of entries from other schools, remarkably it was a Falmouth School students who picked up first prize in all three age categories. The winning students were Summer Blackford (11-13), Eifie Ward (14-16) and Jay Seamark (17-19). In addition, Seren Instance and Eifie Ward were also given the accolade of the curator’s ‘ones to watch’ recognising both students’ talents. A further 19 Falmouth School students were nominated for the prizes in the various age categories out of a total of 86 students from around the county.